Urban & Rural is a totally client focused brand, if we deliver the highest standards of service and marketing then we can expect to prosper and that is why the client is at the heart of everything we do. Choosing to open one of our franchises essentially allows you to own your own professional residential sales & lettings business whilst being part of a proven and highly successful brand which is ever evolving and constantly moving forward. We give our members the opportunity to generate other income from the internal referral system, in many cases sufficient enough to cover and exceed the monthly franchise fees. If you successfully manage your fully serviced branch or central hub to its full potential you will maximise the numerous income streams available to you. Revenue can be generated from many sources such as residential sales & lettings/property management, internal referral business, external referral arrangements, financial services, home conveyancing, new homes, corporate sales & part exchanges. All of this is possible as you are joining an established business with a good track record for achieving consistent results. We are made up of numerous independent companies operated by some of the best in the business and so our success as a network is built on firm foundations of knowledge and professionalism. All conversations will be strictly private and confidential. A non disclosure agreement is available. When I decided in 2003 that the time was right for me to open my own estate agency I looked at all the options and tried to ascertain if I should make this big step on my own or should I consider joining a franchise. I was already working within a successful franchise operation and I could see the benefits the wider network gave to help beat the corporate valuers and win instructions whilst other standalone agents in my area struggled so was already leaning towards this set up. I did speak to a couple of franchise operations, including the one I was already working within and I met with Craig & Mark from Urban & Rural to compare their proposition against the one I was already familiar with and comfortable with. By the end of the first meeting with them my plans were turned upside down. 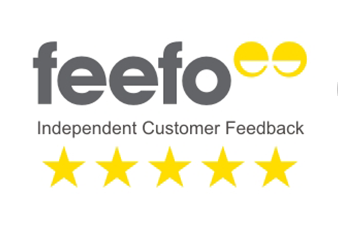 Their enthusiasm and drive was infectious and I loved the additional support they offered, I was not just paying to use a brand I was getting ongoing support and advice on all aspects of agency, running a business, employing staff, keeping up to date with changes in legislation and much more. They make many aspects of starting and operating a business less stressful by knowing you have their knowledge and experience to call upon. Support, support, support – they are always at the end of a phone to listen and offer help or advice, they love seeing branches being successful and their passion is much more than the slight increase in their franchise fees they genuinely want every office to be the best in their area. Even more support – Every single director knows each other, we are all friends working really closely together to offer each other support. Some are better with marketing, some with technology, some with negotiating deals, some with employee law and we speak to each other regularly and share ideas. I do not have to worry about coming up with every new idea to drive my business forward because we all try new ideas and if they work we discuss them and other franchisees choose whether to adopt them. Selling a property outside of the area I normally operate in and collecting a share of the fee Referring a valuation to another branch from an applicant who may have instructed another agent Collecting a valuation from another office which I may have never got the opportunity to value Passing FS leads to the Urban & Rural solution – in over 20 years of agency by far the best mortgage solution I have ever worked with Creating a lettings arm within my business which generates income and value without me having to worry about the management Bulk buy savings – We are able to negotiate very preferential rates due to the size of the company and a lot of the costs can be split between the branches allowing us to invest in much better marketing and equipment that we simply wouldn’t be able to proceed with if I was on my own. Essential costs such as a good website etc are all included and something I don’t have to worry about which makes me another saving. Finally I do have to say that Craig & Mark are always open to new ideas and are not set in their ways, they are accommodating wherever possible and appreciate that the success of Urban & Rural is attributed to all the individual parts of the network. They do allow you the opportunity to run your own business your way with all the support you need. I have never regretted opening an Urban & Rural franchise and am very pleased that I made that decision all those years ago! I have worked my whole career within Urban & Rural branches, working for many different offices and different directors, i soon reached a point where i felt i had the experience and know how to operate my own estate agency, I obviously looked around at various options with other franchise companies and the possibility of starting a fresh new brand. It was only after meeting with Craig & Mark that i knew this was 110% the right option for me, what helped with my decision massively was the support they gave me when opening a new franchise. For me this side of things was very daunting but their help and experience was so valuable at the time, I knew how to operate an office and get a team hitting targets but everything else such as running costs, securing a premise’s, understanding the terms of a commercial lease among many other things these were things i was out of my depth with if i am honest, Both Craig and Mark were there to advise at all times right down to narrowing potential office locations, I can honestly say our business would not be where it is today without this initial support we had. Safe to say this support is on going with regular meetings that we have with them to analyse our place within the market and to run through some fresh idea’s etc, some people will look at Craig & Mark as just franchisors but they are both fantastic estate agents with their fingers very firmly on the pulse which make them such a good sounding board for any ideas or initiatives we would potentially consider running as a branch, Having your own ideas is also the other great thing about Urban & Rural franchising, We genuinely get to run it as our own business, I think Craig and Mark very much understand that every area does vary with what works for them but the one thing that is always in place with all of our franchises is the structure, branding and support that we need to make a successful business. It is not only Craig & Mark who offer support to us though, we have some great people working within the company with so much knowledge and experience, As one of the newer franchisee’s i have benefited hugely from being able to tap into this resource, I would like to think we are a very close knit group of people who are genuinely there to help each other when needed and share ideas that are working within our territory. I can honestly say professionally and personally opening an Urban & Rural franchise is the best decision i have ever made. I was in your position 12 years ago, Shall I set up my own business? Will it work? Can I do it? What area to pick? Will I lose money? I ran one of the top offices of a 23 office franchised company and was always told by others, you won’t make it etc etc but I knew I could and took the plunge. I have never looked back. Being in business alone is a bit like going to the gym or the pub. its not much fun on your own! When you are in a franchise you have the best of both worlds, the ability to get out what you put in with the benefit of a recognised instant brand on the high street and online which opens doors straight away. If I was called Tony Inskip estates no one would ever really heard of me and would probably never think to call me out to value their property, so if you have no stock you don’t really have a business. In 12 years i can honestly say Craig, Mark and I have never had a cross word and they leave you to run your business without interfering in the day to day aspects. But they are there for a chat and serious advice when those quiet moments come and honestly they do come but they pass much easier when there is someone to talk to and share those times. 1: Not have the time to attend numerous seminars and learning groups which they do on our behalf. 2: Not be aware of these features and innovations as early as they bring them to us. 3: Not be able to implement as they would be too expensive as a single office business. With their skill you will be able to concentrate on establishing your business while they take care of and invest in the brand for your benefit. Most importantly on a personal note Craig and Mark are always full of enthusiasm and open to ideas, they have never said ‘’that won’t work’’ they always say lets try it!! What impresses me most it that they are totally discreet and everything they do and know about their franchisees is held in the strictest confidence and remains that way. Integrity is a rare quality and they both have it in abundance. Don't worry, you are not alone and I hope this helps you in your decision making. At Urban & Rural we never stand still, always looking to improve and move forward to maintain our position as the County’s largest and most progressive Independent estate agency. The best way to test our progress is to continually review what we do and then present it to a panel of leading Industry specialists to assess us in numerous categories. Only the best entries from across the United Kingdom are awarded these prestigious accolades and once again we have been crowned worthy winners. In 2012 we won the Times & Sunday Times Estate Agency of The Year ‘Silver’ award for the ‘Best Medium Size Agency’ in the East of England. In 2013 we worked hard to improve further and were successfully elevated to ‘Gold’ status, naming us as the best medium size estate agency in the East of England. These awards are significant as they give our clients an independent review of what our company is capable when compared to numerous other companies across the Country. Since winning Gold in December we received an invitation to enter another set of awards which also exist to highlight the best in the industry. We took the decision to enter the prestigious ‘UK Property Awards’ and have been notified that following weeks of preparation before presenting our submission to the judges we have been awarded yet another accolade. We were successfully recognised once again and awarded the prestigious 2014 ‘Highly Commended’ award for Real Estate Agency in Bedfordshire. In 2015 we were awarded further recognition being crowned 'Best Estate Agency Marketing - East of England' in the National Property Awards. We appreciate that when you choose an agent you want trust and confidence, through these awards we hope you are assured of our professional ability to give you the best advice, service & marketing. 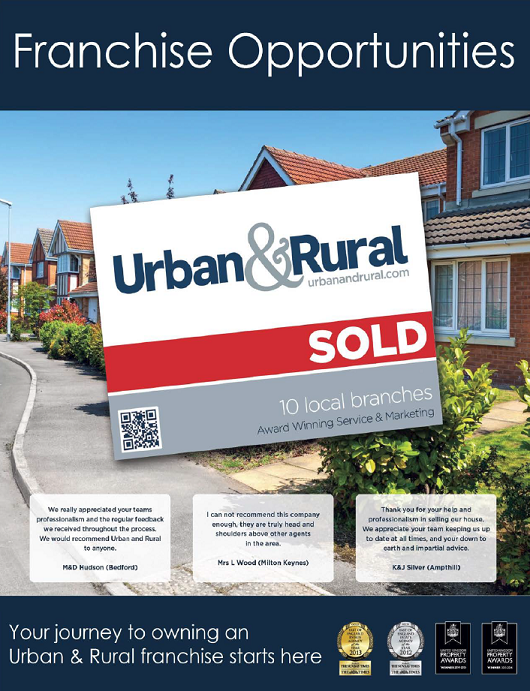 With 10 local branches positioned across Beds & Bucks Urban & Rural are a group of true local experts that intimately knows and understands your precise market place. Established in 1998 and independently owned since day one we are your true local property experts.